Families for Orphans: SHARE YOUR HOME WITH AN ORPHAN CHILD THIS CHRISTMAS! SHARE YOUR HOME WITH AN ORPHAN CHILD THIS CHRISTMAS! 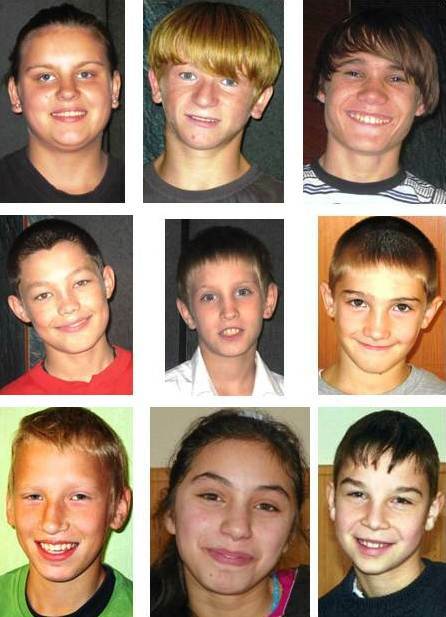 Don't let these nine children from Latvia and Ukraine be left behind! Deadline for hosting an orphan through Open Hearts and Homes for Children is this Sunday. Don't delay: please call one of the volunteers listed on Open Hearts and Homes website today! More information on OHHC website: www.openheartsandhomes.org . 3 to 4 weeks in a Christian home in the United States. Bottom row (left to right): Alens, "quite and polite" 6th grader (from Latvia); Olga, "very thoughtful, would love to come to America"; and Vyacheslav, "polite and respectful 5th grader". Contact the volunteer for your area today!